Grigio is so hard to get right. Water clear in colour, this has a clear and super fresh nose of pear and citrus. The palate, though, is tart and raw, the acid raspy and overly intrusive. Unbalanced and frustrating as it smells great. 15.5/20, 85/100. 13%, $22.50. Water clear, this is quite juicy and full for a Grigio with plenty of musky pear juice. Rather intense on the palate too; every bit the riper, richer Frulian style. Not bad at all, and succinctly varietal, if a bit chunky to be really refreshing, with acid that feels a bit hard too. 16.5/20, 88/100. 12.5%, $22. Good packaging, nice price, not a bad wine. Nicely varietal pear aromatics over a tart, phenolic palate that has nice delicate flavours but just falls down a bit in the intensity, the phenolic finish lingering to bump up the points. 17.5/20, 91/100. 13.5%, $25. Great packaging on this new Longview white. Once the vines get some age it should be a smart wine too. From vines planted in 2010 and three unique Austrian clones planted on own roots. Has some of the white pepper and celery of Gruner over a light, citrus and white peach palate. It lacks the varietal intensity and depth of flavour to convince yet, but signs are good for future releases. Just too simple for more points. 16.5/20, 88/100. 12.9%, $24. Still yet to taste many Australian Vermentino that convince (Sue Bell does one though). So far behind the Sardinians… Green straw coloured, this has a white pepper and cut grass nose. It’s otherwise all about acid, wieh a lemon citrus and grapefruit palate and shortish finish. Fresh, simple white wine, little else. 15.5/20, 85/100. 12.4%, $24. Peach and tropical fruity with a little sweaty passionfruit. Tropical! Really aromatic, the dry and quite heady palate is tropical, crunchy and phenolic. There’s a dash of Hunter Verdelho about this really, and provides some fruit juiciness if tart and raspy. Functional, but not quite the hedonist. Still more interesting than the Bimbadgen. 16/20, 87/100. 13%, $20. It’s not the done thing, but I don’t enjoy Tahbilk Marsanne much as a young wine. It needs five years to come together for my tastes. Green straw coloured, this has a lemony and quite neutral nose over a lemon citrus. Slightly phenolic palate of simple fruits. It’s a light and refreshing simple wine but not much else. Time needed for this to become anything interesting. 16.5/20, 88/100. 12.5%, $18.86. Green straw coloured, the neutral nose here gives away little aside from a little peach skin fruit. Palate has almost no varietal character to speak of, save for a little faint peach whisper. Flavourless white wine. 15/20, 83/100. 12%, $22. For a winery that can nail Marsanne and Roussanne seperately, there is no reason why this should be so overwhelming. Green straw, the nose is inviting if very lean with lemon, grapefruit and a little custard. It just tastes a little lean and hard, the lack of fruit richness or varietal character, just sharp, citrus acidity. Not enough joy for the moment, though it should look better in 12 months time. 16/20, 87/100+. 13%, $25.70. Hi Andrew, I read somewhere recently that a highly regarded/experienced winemaker believed that there is only 4 Aussie based wine critics worth their salt. He didn’t name names but I was wondering who you believed the other 3 are?! 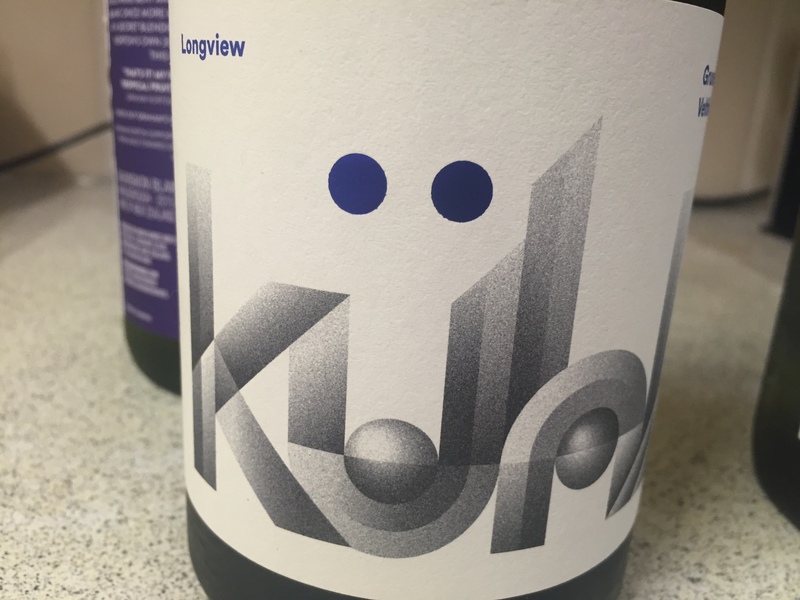 I bought a bottle of the Longview Gruner V. recently on the basis of novelty and wine show results and I’ll will drink it soon to see whether I’d like to play cards with the man who is more than prepared to call a spade a ‘spade’ ! Cheers always -Ray. Cheers Ray. Interested to hear if you agree. Great read as always AG. Your comments on the “red stripe” Hermit Crab are spot on. Super value. Tahbilk Marsanne always comes good and another worth the coin with some patience. I had a look at the Bimbadgen Vermentino recently too. The ’15 is better than the previous and what I thought a pretty smart wine. I like the barrel component. It adds interest. I didn’t think it was as simple as suggested. But that’s the beauty of wine hey. Yes! Diversity is the spice of life. I very much enjoyed your notes on these varieties. Thank you. Just on Gris, I do find it frustrating when many wineries name something a Gris, when really they produced something akin to a Grigio. While I enjoy both styles, my lady much enjoys a real Gris…. So it can be frustrating when you expect one thing and get another!